This "tangled web of medial ecology"
With its vast storage capacity for digitising the majority of canonised literary works, the Internet offers a wide variety of resources for contemporary readers. Unsurprisingly, the digital medium is also reshaping textual scholarship. Peter L. Shillingsburg argues that "electronic editions are now the only practical medium for major projects" (82). Due to their technological systems, electronic versions are "open-ended" and offer users "the practical power to select the text or texts most appropriate for their own work" (Ibid.). All these digital activities—the storage of canonical texts in cyberspace and the performance of electronic textual scholarship—have as their primary material the printed text. The reproduction of these literary texts on screens, however, does not lead to mere facsimiles of the printed versions but instead to an amalgam of the two media: the print and the digital. As N. Katherine Hayles points out, in the twenty-first century every form of literature is computational, since even "print books are digital files before they become books" (2012: 101). Thus if we consider the materiality and the medium of contemporary literature in terms of its production and dissemination, rather than opposing the old (print) and the new (digital), we should embrace the ways in which these two media complement and influence one another. The connection between form and content is an essential part of the reading experience. 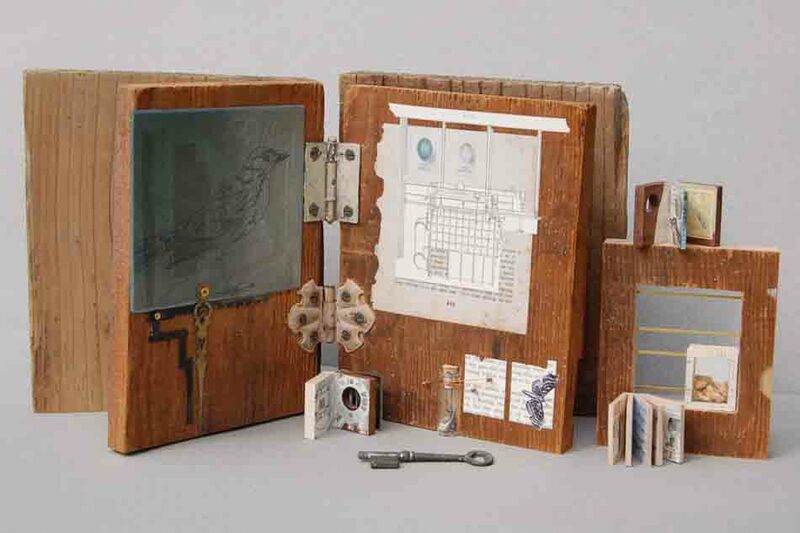 This interactive artifact presented at the Abecedarian Gallery in Denver, Colorado in 2011 artistically exposes the relationship between materiality and narrative. One way to examine the print/digital relationship is by analysing literary applications that adapt canonised literary works for tablet devices. What happens when a novel, poem or work of drama (literary forms that originated in the print era) is refashioned to operate as a digital text? How does this change in medium alter the textuality of the literary work? Literary applications, or "book-apps," of canonised works offer the possibility to investigate these questions by examining the different ways in which printed literary works are remediated to appear on screen tablets. As canonised works make their transition from print to interactive media, which makes possible multiple sensory and semiotic channels, the medium specificity of book-apps plays an important role in their adaptation. As Linda Hutcheon argues, "it is when adaptations make the move across modes of engagement and thus across media, […] that they find themselves most enmeshed in the intricacies of the medium-specificity debates" (35). 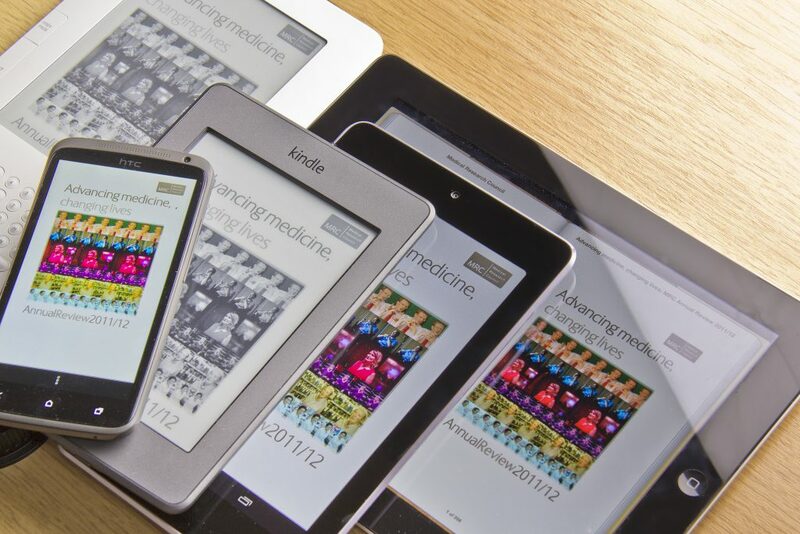 In order to keep up with the market’s shift towards digital reading, major publishers such as Cambridge University Press, Faber & Faber, and Random House Group have recently ventured into the field of digital publishing by establishing affiliations with app developers or by launching their own digital publication departments. Random House Group recreated Anthony Burgess’s most famous novel, A Clockwork Orange (1962), as an app. This edition presents the text of the novel embedded into an array of additional materials that create a fully tagged network of text, video, and audio resources. One can also use it as an audiobook by activating Tom Hollander’s synchronised reading of the text. Furthermore, the app incorporates the novel’s textual scholarship as it presents not only "the restored edition of the text, freshly edited and introduced by Andrew Biswell, Anthony Burgess’s biographer" but also "the previously unpublished full original 1961 typescript, replete with annotations, illustrations and musical scores." (Random House 2013, n.pag.). Similarly, Penguin Books have digitalised another iconic novel, Jack Kerouac’s On the Road (1957). The reader can navigate amongst a myriad of different materials connected to the novel from family photographs of the author, audio clips, documentary footage, reviews, and a detailed biography of Kerouac’s life, to an interactive map of the trips described in the book. The app also includes several components that reveal the editorial work shaping this novel. Reproductions of the first draft with corrections made by the author and his editors, editorial documents from the archives of the novel’s publisher, and the comparison of the first draft and the final text displaying the changes and the differences between the two texts engage the reader with the textual scholarship of this literary work. Perhaps the most canonical example of all is Shakespeare’s sonnets having been converted into an app by Touch Press in collaboration with Faber & Faber. Their partnership also led to the publication of the following literary works as book-apps: Seamus Heaney’s translations of the 15th-century Scottish poet Robert Henryson, Five Fables (2014), Iain Pears’ Arcadia (2015), and Michael Morpurgo’s War Horse (1982). Their most successful app, however, was T. S Eliot’s The Waste Land (1922). This app, a prospering investment for the publisher as it started to turn profits only after six weeks of its launch, demonstrated that there is a market for book-apps. In an article for the Guardian, Stuart Dredge suggested that "The Waste Land [app] and other apps have proved that book-apps can be innovative, but… also that they can be profitable [which] will draw attention throughout the industry" (n.pag.). The partnership between Touch Press and Faber & Faber thus indicates that the difficulty of a text does not hinder the transformation of a literary work into an engaging and entertaining app, bringing canonical works into a new realm of cultural and popular engagement. In addition to the book-apps produced for canonical literary texts, a second type of app has emerged in recent years. The common characteristic shared by this different literary application relates to the genre of the texts that have been remediated into app form. Edgar Allan Poe’s gruesome characters, Mary Shelley’s monster, Bram Stoker’s vampire and Arthur Conan Doyle’s detective: all have come alive on touchscreen. The iPoe Macabre Collection consisting of three apps was created by Play Creatividad. This interactive and illustrated Edgar Allan Poe collection is part of a larger project called the iClassics, by the same company. Besides Poe’s horror stories, Play Creatividad has also developed the digital adaptations of Charles Dickens’ ghost stories, iDickens, and H. P. Lovecraft’s bizarre science fiction, iLovecraft. All these book-apps recreate the scary and ghoulish world of these literary fictions by combining the main text with eerie music and neo-gothic drawings and animation. These elements aim to enhance the sensations of horror and fear in the reader. The interactive components of the apps further heighten this reading experience. For example, in one of the stories from the first iPoe app, "The Tell-Tale Heart," bloody fingerprints appear by tapping on the screen and the reader can splash blood around the page by dismembering an anatomical sketch of a human body with several swipes across the screen. In the case of Dave Morris’s Frankenstein app, the reconstruction of a dismembered body constitutes the driving mechanism of the app’s structure as the sewing together of the monster’s body is turned into the metaphor of reading. 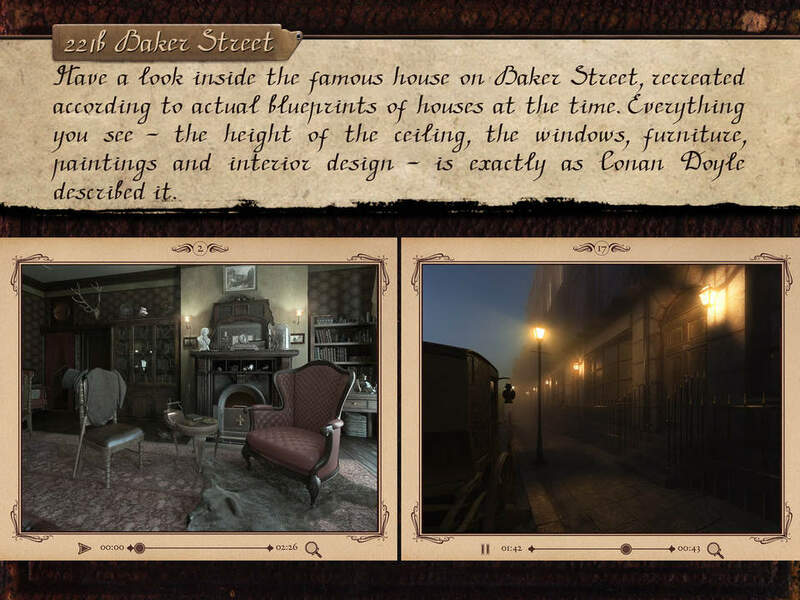 Interactive storytelling is the key feature of the app Sherlock: Interactive Adventure by HAAB, which recreates "The Red-Headed League" (1891) by Arthur Conan Doyle. The app includes components such as a search mode and 3D animated plot-based scenes. Readers can activate the search mode by zooming in on drawings, which immerses the reader in the point of view perspective of the famous detective. In this mode, the user occupies the position of the main character as s/he searches for clues and evidence. The 3D feature also adds to the interactivity of this book-app as the pictures above the text can be rotated, thereby creating the illusion that one walks around a room or walks down a street. A screengrab from HAAB's Sherlock: Interactive Adventure app. The common characteristic of these book-apps is that they are all adaptations of canonised literary works. Following N. Katherine Hayles, my examination of the distinct digital features of these book-apps aims "to explore how media specific possibilities and constraints shape the text" (2002: 31). As I have already indicated, these book-apps can be divided into two major groups: firstly, book-apps that build an extensive paratextual web around the primary text, such as A Clockwork Orange, On the Road and The Waste Land; and, secondly, book-apps that transform the original text into a hypermedia narrative, such as the iClassics collection by Play Creatividad or Sherlock: Interactive Adventure by HAAB. The first type of book-app reproduces the original text, keeping its print format intact whilst embedding the text in a network of cultural and historical information. However, the second type of book-app departs from a strictly textual fidelity, infusing the adapted literary work into a multimedia storyworld replete with music, images, and interactive animated drawings that can be activated by swiping the screen. Thus the major difference between these two types of book-app lies in their different approach to integrating the original text into the app. In order to understand the implications of these different book-app formats, I will examine one book-app from each group, The Waste Land app and the iPoe app, in order to observe the role of the printed text and consider what kind of dialectic between the text’s digital and the print versions informs these book-apps. Included in the first volume of the iPoe collection, The Oval Portrait opens with a lexia that consists of text imposed on a full page image that is in the process of being drawn through a graphic animation. Though Poe’s text does not suggest that the story takes place during winter time, the small white dots falling down on the screen imply otherwise. This animation of snow falling is generated automatically and cannot be stopped by the reader. Besides its intractability, this small visual addition expands the opening of Poe’s short story by adding information that is not contained within the original source text. This kind of media addition to a book-app text, in which the reader has no control over the accompanying animation, is actually very rare across the range of available book-apps: usually, these digital adaptations use drawings as visual backgrounds to the text or as a means of highlighting certain parts of the text. Some of the drawings can be activated by swiping the touchscreen. These interactive components contribute to a reading experience that engages various senses. Reading becomes a multi-sensory process during which the reader has to negotiate visuality with auditory and haptic effects. Auditory elements such as music or sound effects, similar to drawings, function either as a backdrop establishing the general mood for the short story or as an intensifying component by reproducing particular noises. In the case of The Oval Portrait, the reader can listen to a song throughout the whole story whereas the auditory parts of another short story, The Tell-Tale Heart, consists of eerie music interrupted by sudden sound effects, such as deep sighing, heavy breathing, a ticking wall clock or a beating heart. Although I have categorised the Touch Press/Faber & Faber app of T. S. Eliot’s The Waste Land within the first type of literary application—the paratextual book-app—it is interesting to note that this app also contains the visual and auditory elements characteristic of the second type, the hypermedia narrative book-app. Nonetheless, what marks The Waste Land app out as a paratextual book-app is the fact that the text of the poem is at the centre of this application, as it is reproduced in almost each section except "Gallery." All the other links, even the performative and auditory parts, include the text into their lexias. For example, while watching Fiona Shaw’s performance, the screen is divided into two parts. On the top part, Shaw recites the poem in a desolate bleak room warmed by the roaring fire of an open fireplace. The lines uttered by Shaw are highlighted in the text in blue. The text is always visible, with the screen suggesting the materiality of Eliot’s poem and emphasising how its printed medium is fundamental to this book-app. However, besides the continuous reproduction of the written poem throughout the various sections of the app, the textuality of this literary work is accentuated by the addition of various manuscripts with edits. The book-app replicates not only the final product, the published version of the text, but it also presents the development of the text, emphasising the process of writing. Textual scholarship is a fundamental part of paratextual book-apps that create a mini library centered around the canonised text. Book-apps such as Clockwork Orange, On the Road, Shakespeare’s Sonnets, and The Waste Land all place great value upon the visual and material elements of original manuscripts. Besides demonstrating the process of writing formed by an author’s edits, erasures, and rewritings, these manuscripts also illustrate the varied formats of print. This is clear in the apps’ use of facsimiles of Shakespeare’s 1609 Quarto and the first published edition of the Sonnets, of Eliot’s manuscript with hand-written edits by Ezra Pound, or of Burgess’ typescript from 1961, all of which remind readers of print’s different versions and the process of a text’s construction, editing, and production. They thus exemplify the way in which "print is not a monolithic or universal term but a word designating many different types of media formats and literary practices" (Bolter and Grusin 2000: xiii). The methods of inclusion of the original text into the book-apps define the digital vis-à-vis print dialectic. This dialectic is constructed differently in the case of paratextual and hypermedia book-apps. Whereas The Waste Land app reproduces the text without any modifications, apps such as iPoe adapt the text to the digital medium by mixing it with other semiotic systems such as "graphics, digitized speech, audio files, pictographic and photographic images, animation and film" (Ensslin 2007: 21) in order to create a unified reading and entertainment experience. This entertaining character of hypermedia book-apps might be related to the genres of the canonised texts as most of these novels belong to genres that are recognised as popular culture such as detective, vampire, gothic, and horror stories. Linda Hutcheon calls this "interactive storytelling," which she describes as a "carefully designed electronic staging [that] is best for adapting certain kinds of narrative structures and therefore genres, namely those of thrillers, detective stories, and documentaries" (52). Thus, the distinct dialectic between the print and the digital versions of a literary text offers us a reflection upon, as well as a reiteration of, the way in which the canon creates a particular hierarchy. Most of the works that we might term "Literature" with a capital "L," such as The Waste Land, Shakespeare’s plays and sonnets, Burgess’ A Clockwork Orange or Kerouac’s On the Road, are adapted as paratextual book-apps; whereas works belonging to popular culture such as Dracula, Frankenstein, and Sherlock Holmes stories, together with Charles Dickens’ ghost stories, Edgar Allan Poe’s short fiction, and H. P. Lovecraft’s horror stories, receive the hypermedia treatment. However, it’s important to note that there are transgressions. Ryan North transforms the tragedy of Hamlet (1609) into an entertaining book-game in which the player creates her/his own version of Shakespeare’s leading characters, including Ophelia, the eponymous, tormented Danish prince, or the ghost of Hamlet’s father. In a similar vein, difficult modernist literary works such as Ulysses (1922) and The Waste Land have been remediated into digital comic books by Robert Berry in Ulysses “Seen” and by Martin Ronson in The Waste Land “Seen”. These adaptations modify the materiality of these canonical literary works of "High" modernism by telling the stories through pictorial narrativity, thereby displacing the privileging of print textuality usually attributed to book-apps of canonical works. The remediation of canonised literary works within the digital space transposes the "old" medium of printing into a new medium. Since these literary works are the creations of printing, the examination of their adaptations to the digital unfolds the dynamics between printed text and digital elements. An overview of the different types of adaptations shows that there are mainly two types of book-apps: paratextual and hypermedia book-apps. The difference between them lies in the ways they insert the text of the literary work into the digital medium. Paratextual book-apps are constructed around the primary text, the material textuality of which remains intact and is usually reproduced using facsimile, but also including various print formats to emphasise the processual nature of textual construction that informs "great works" of literature. Textuality becomes the centre of these book-apps since textual scholarship is one of their key components. Hypermedia book-apps, on the other hand, playfully mix text with visual, auditory, and haptic elements transforming the reading process into a multi-sensory experience. In this more adventurous and multimedia type of book-apps, we find that textuality is dispersed and sometimes even obstructed by a variety of semiotic systems. CITATION: Zita Farkas, "Book Apps and Digital Textuality," Alluvium, Vol. 6, No. 2 (2017): n. pag. Web. 31 May 2017, DOI: https://doi.org/10.7766/alluvium.v6.2.01. Dredge, Stuart. "The Waste Land iPad Earns Back Its Costs in Six Weeks on the App Store." The Guardian, 8 August 2011: http://www.theguardian.com/technology/appsblog/2011/aug/08/ipad-the-waste-land-app (Last accessed 29 April 2017). Ensslin, Astrid. Canonizing Hypertext: Explorations and Constructions. London: Continuum, 2007. Hayles, N. Katherine. Writing Machines. Cambridge, MA: The MIT Press, 2002. —. "Intermediation: The Pursuit of a Vision." In: Between Page and Screen: Remaking Literature Through Cinema and Cyberspace, edited by Kiene Brillenburg Wurth. New York: Fordham University Press, 2012, 101-126. Hutcheon, Linda. A Theory of Adaptation. London: Routledge, 2006. Shillingsburg, Peter L. From Gutenberg to Google: Electronic Representations of Literary Texts. Cambridge: Cambridge University Press, 2006. Burgess, Anthony. A Clockwork Orange. Random House Group, 2013. Berry, Robert. Ulysses “Seen”. Throwaway Horse, 2011. Eliot, T. S. The Waste Land. Touch Press, 2015. Heaney, Seamus. Five Fables. Touch Press, 2014. Kerouac, Jack. On the Road. Penguin Group USA, 2013. Pears, Iain. Arcadia. Touch Press, 2015. Ronson, Martin. The Waste Land “Seen”. Throwaway Horse, 2012. North, Ryan. To Be Or Not To Be: That Is The Adventure. Tin Man Games, 2015. Morris, Dave. Frankenstein. Inkle, 2012. Morpurgo, Michael. War Horse. Touch Press, 2014. Sherlock: Interactive Adventure. HAAB, 2015. Shakespeare’s Sonnets. Touch Press, 2015.